They are the latest model of the Iron Man armor in the movie. We have been working on this fantastic armor costumes for over 10 months. As usual, the quality of our armor costumes will be movie-accurate and ultra-realistic. This entry was posted in Secret,Iron Man Suit Mark 46 XLVI Wearable Armor Costume R&D Milestones,Iron Man Suit Mark 46 XLVI Wearable Armor Costume R&D Full History,Iron Man Suit Mark 47 XLVII Wearable Armor Costume R&D Milestones,Iron Man Suit Mark 47 XLVII Wearable Armor Costume R&D Full History and tagged Iron Man Armor,iron man armor for sale,Iron Man Cosplay,Iron Man Costume,Iron Man Suit,iron man suit for sale,cosplay,costume,comic con 2017,Real Iron Man,Iron Man Mark 46,Iron Man Mark 47,Iron Man in real life,life-size Iron Man,wearable Iron Man,Marvel,Captain America Civil War,Spider-Man Homecoming,event idea,Halloween idea,cosplay idea,party idea,Iron Man Mark 46 armor for sale,Iron Man Mark 46 costume for sale,Iron Man Mark 46 suit for sale,Iron Man Mark 46 helmet for sale,buy Iron Man Mark 47 armor,buy Iron Man Mark 47 costume,buy Iron Man Mark 47 suit,buy Iron Man Mark 47 helmet on Jul 19,2017. This is the latest model of the Iron Man armor in the movie. As usual, the quality of our armor costumes will be movie-accurate and ultra-realistic. We will keep posting updates. Stay tuned! This entry was posted in Secret,Iron Man Suit Mark 46 XLVI Wearable Armor Costume R&D Milestones,Iron Man Suit Mark 46 XLVI Wearable Armor Costume R&D Full History,Iron Man Suit Mark 47 XLVII Wearable Armor Costume R&D Milestones,Iron Man Suit Mark 47 XLVII Wearable Armor Costume R&D Full History and tagged cosplay,costume,Iron Man,comic con 2017,Real Iron Man,Iron Man Mark 46,Iron Man Mark 47,wearable Iron Man,Captain America Civil War,Spider-Man Homecoming,Iron Man Mark 46 armor for sale,Iron Man Mark XLVI armor for sale,Iron Man Mark 46 costume for sale,Iron Man Mark XLVI costume for sale,Iron Man Mark 46 suit for sale,Iron Man Mark XLVI suit for sale,Iron Man Mark 46 helmet for sale,Iron Man Mark XLVI helmet for sale,latest Iron Man,new Iron Man,Tony Stark,Iron Man 3D model,buy Iron Man Mark 47 armor,buy Iron Man Mark XLVII armor,buy Iron Man Mark 47 costume,buy Iron Man Mark XLVII costume,buy Iron Man Mark 47 suit,buy Iron Man Mark XLVII suit,buy Iron Man Mark 47 helmet,buy Iron Man Mark XLVII helmet on Jun 21,2017. 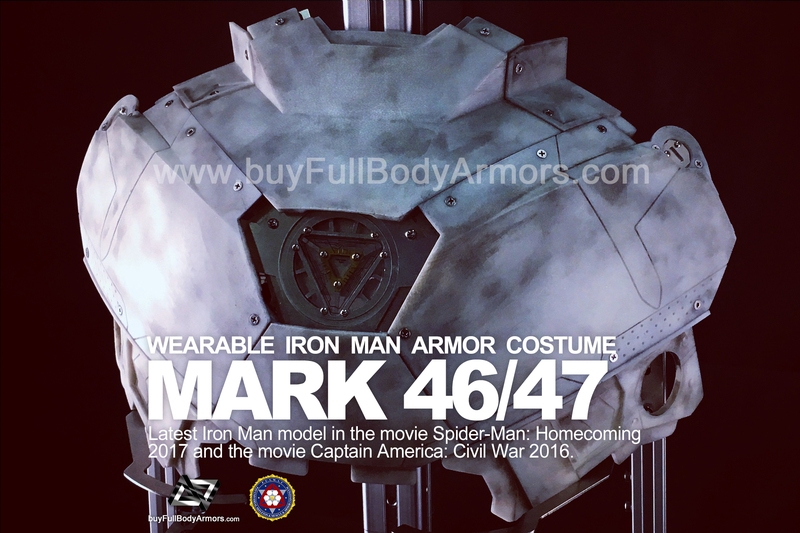 We are now assembling the prototype of the Wearable Iron Man Mark 47 / 46 Armor Costume Suit Chest Armor. This entry was posted in Secret,Iron Man Suit Mark 46 XLVI Wearable Armor Costume R&D Milestones,Iron Man Suit Mark 46 XLVI Wearable Armor Costume R&D Full History,Iron Man Suit Mark 47 XLVII Wearable Armor Costume R&D Milestones,Iron Man Suit Mark 47 XLVII Wearable Armor Costume R&D Full History and tagged cosplay,costume,Iron Man,comic con 2017,Iron Man Mark 47 armor for sale,Iron Man Mark 47 costume for sale,Iron Man Mark 47 suit for sale,Iron Man Mark 47 helmet for sale,Iron Man Mark XLVII armor for sale,Iron Man Mark XLVII costume for sale,Iron Man Mark XLVII suit for sale,Iron Man Mark XLVII helmet for sale,Real Iron Man,Iron Man Mark 46,Iron Man Mark 47,wearable Iron Man,Captain America Civil War,Spider-Man Homecoming,Iron Man Mark 46 armor for sale,Iron Man Mark XLVI armor for sale,Iron Man Mark 46 costume for sale,Iron Man Mark XLVI costume for sale,Iron Man Mark 46 suit for sale,Iron Man Mark XLVI suit for sale,Iron Man Mark 46 helmet for sale,Iron Man Mark XLVI helmet for sale,latest Iron Man,new Iron Man,Tony Stark,Iron Man 3D model on Jun 17,2017. 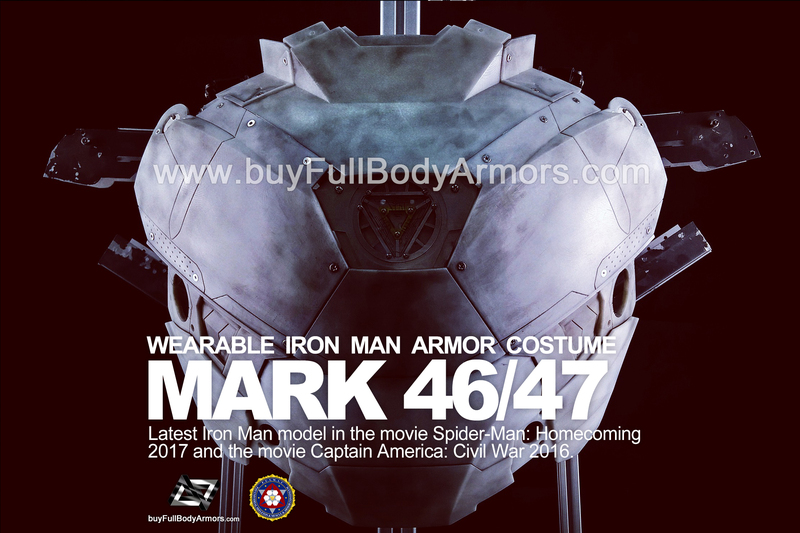 The Wearable Iron Man Mark 47 / Mark 46 from the movie Spider-Man: Homecoming and the movie Captain America: Civil War 2016. This is the latest model of the Iron Man armor in the movie. We have been working on this fantastic armor costumes for over 10 months. As usual, the quality of our armor costumes will be movie-accurate and ultra-realistic. This wonderful life-size Iron Man armor costumes will be the most outstanding armor costume in any parties and events! 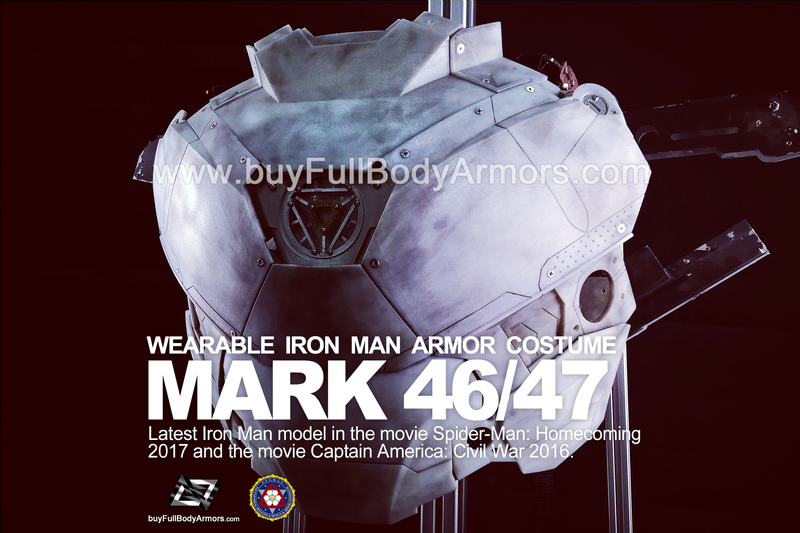 This entry was posted in Secret,Iron Man Suit Mark 46 XLVI Wearable Armor Costume R&D Milestones,Iron Man Suit Mark 46 XLVI Wearable Armor Costume R&D Full History,Iron Man Suit Mark 47 XLVII Wearable Armor Costume R&D Milestones,Iron Man Suit Mark 47 XLVII Wearable Armor Costume R&D Full History and tagged Iron Man Armor,iron man armor for sale,Iron Man Cosplay,Iron Man Costume,Iron Man Suit,iron man suit for sale,cosplay,costume,comic con 2017,Real Iron Man,Iron Man Mark 46,Iron Man Mark 47,Iron Man in real life,life-size Iron Man,wearable Iron Man,Marvel,Captain America Civil War,Spider-Man Homecoming,event idea,Halloween idea,cosplay idea,party idea on Jun 10,2017.